A brief overview of actions that might be seen as plagiarism, and guidelines for researching, quoting, and paraphrasing, from the Purdue University Online Writing Lab (OWL). The "basics of copyright" and the FAQ sections are especially helpful. Provides an overview of the fair use doctrine. Includes a description of the four fair use factors and tools for evaluating the applicability of the doctrine. From the University of Minnesota Libraries. 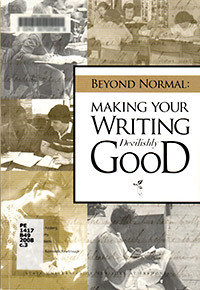 These books offer information on several major citation styles, as well as plagiarism, style and formatting, and other topics related to writing. Available online through Ebook Central. These books do not have information on citing, but do offer useful help on style, formatting, and writing in general. The Associated Press Stylebook, 46th ed.